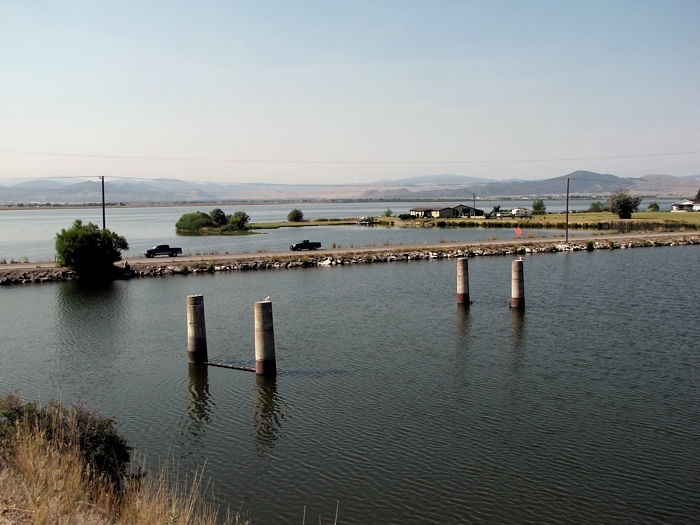 While researching the history of the Lake Helena bridge, I came across a sad but interesting story. 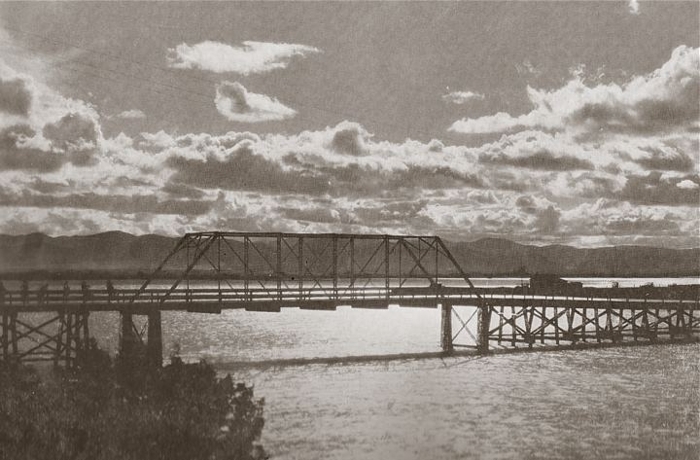 On November 9, 1931, 30-year-old Helena career woman Helen Grohbrugge stopped her car on the bridge. Leaving the motor running, she got out and jumped into the frigid water below. Despite extensive search efforts, her body wasn't found until the following April. Miss Grohbrugge was apparently despondent over her family's heavy monetary losses suffered in the 1929 stock market crash. She had advised them about their investments, and now the money was gone. Five months before her suicide, in June of 1931, Helen suffered a serious chest wound from a .22 rifle. She was alone, on land her family owned near Austin, when the wound (called "accidental" in the newspaper) occurred. Badly hurt and in a panic, Miss Grohbrugge drove herself back to Helena, to the Old Plantation (later Eddy's) Bakery on Park Avenue where her father worked. 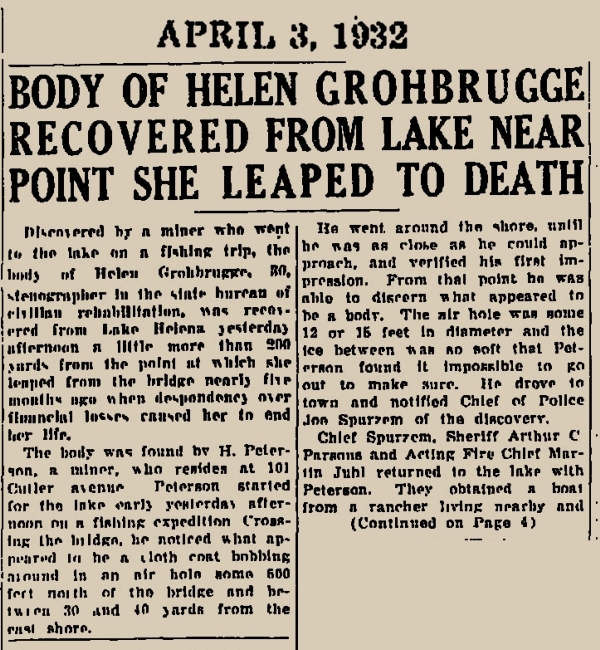 She collapsed there and was taken to St. Peter's Hospital where, under the care of Dr. Rudolph Horsky (who would himself drown under mysterious circumstances in 1932) she evidently made a full recovery from her gunshot wound. Helen later spoke of suicide to her parents. 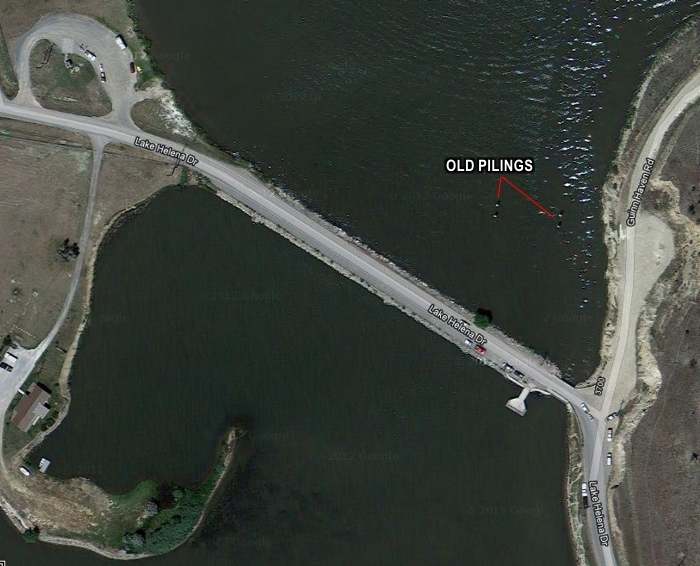 When she went missing, they drove to the Lake Helena bridge, a spot where she said it would be good to end it all. They found her car on the bridge. If anyone has a photograph of Helen Grohbrugge, please contact me.